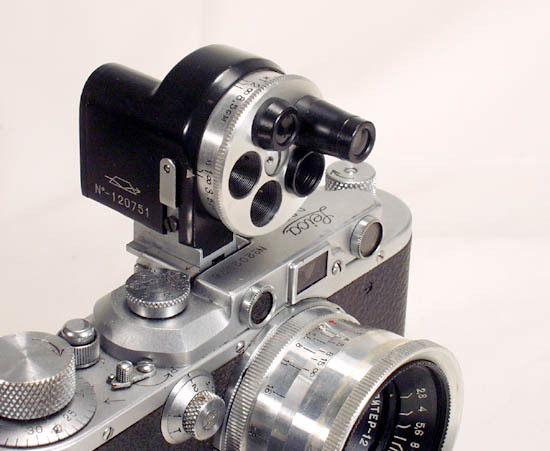 The Russian Jupiter-9 is a high quality telephoto lens for the Leica type rangefinder cameras. 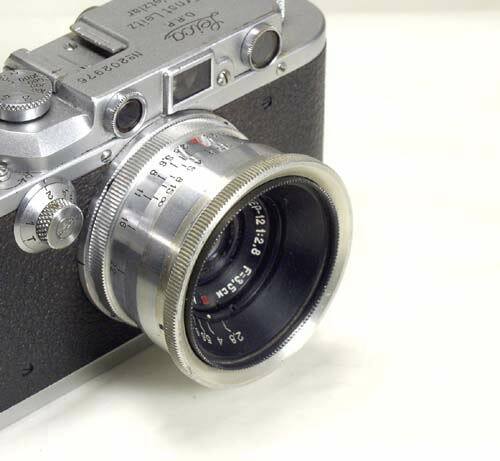 It is a copy of Zeiss Sonnar 85/2. 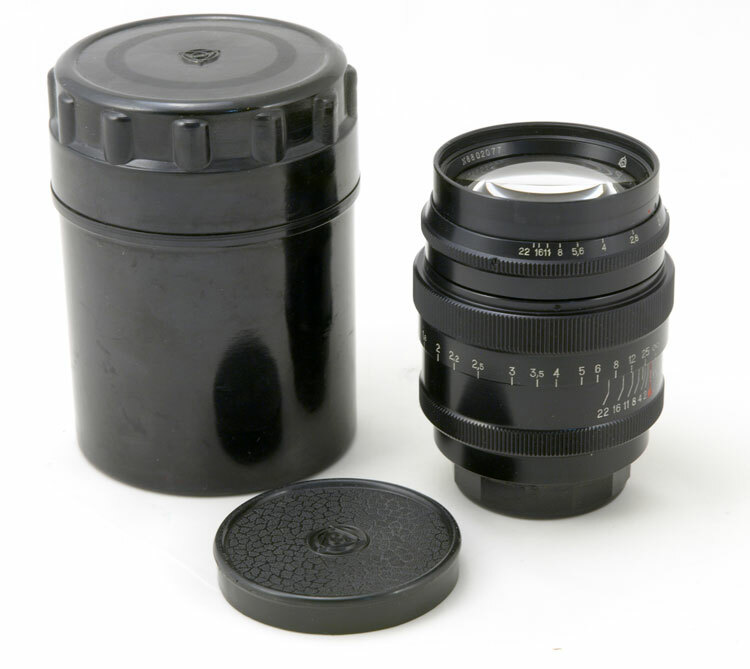 The Jupiter-9 is one of the most desirable Russian lenses in both Contax and Leica (39 mm) mounts. It produces very pleasant images (portraits in particular), and you can control depth-of-field with a wide range of aperture settings. 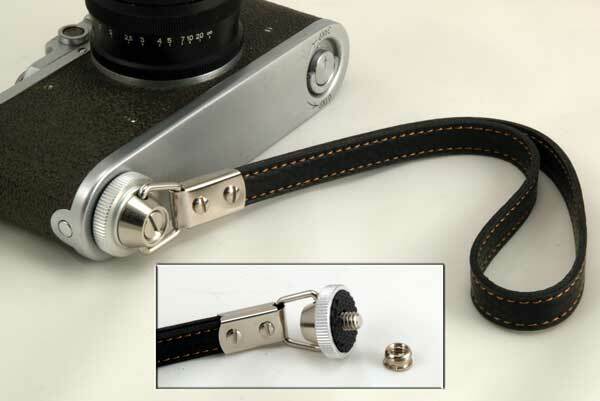 The lens mounted on a Leica (or Leica copy) has a nice balanced feel. This Jupiter-9 is the last production version - finished in black enamel. 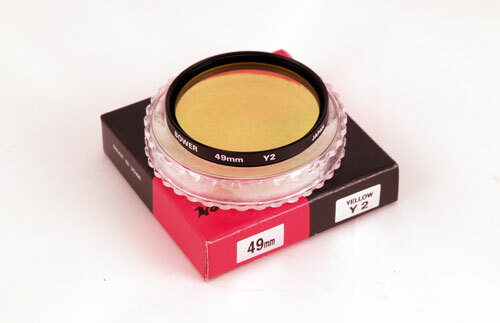 This lens is in EXC condition. 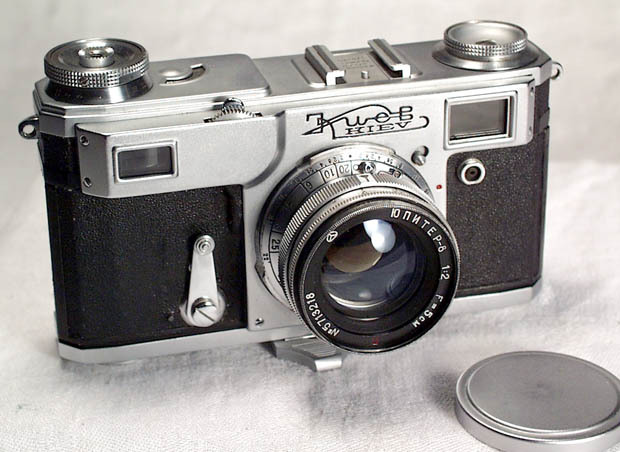 The Jupiter-9 has become a hard-to-find item, and this is reflected in its price, which is steadily climbing. 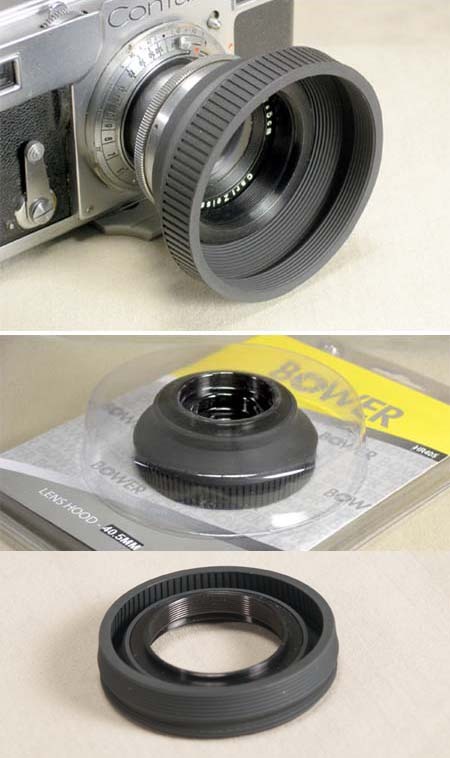 It comes with both caps and case.